Superdry men’s Training zip hoodie. Part of the Active range, this light weight hoodie is made with moisture wicking technology and breathable fabric, to keep you cool as you work up a sweat. The hoodie features a bungee cord adjustable hood, two zip fastened front pockets and Superdry Sport logo on the chest. 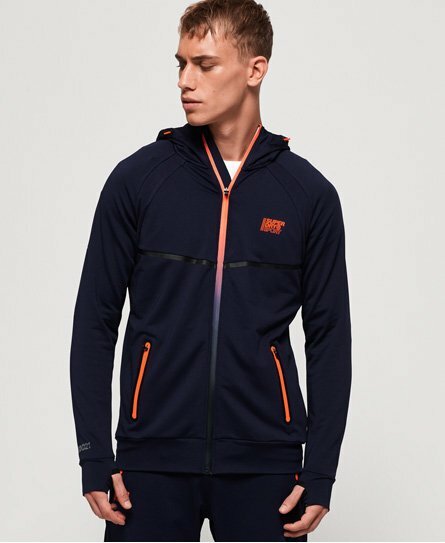 This hoodie is finished with Superdry logo detailing on the arm and cuff, and reflective detailing helps to improve visibility in low lighting.